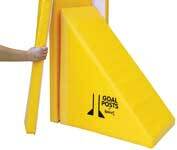 Gymnastics Goal Posts - Training Aid to keep you in a Straight Line. 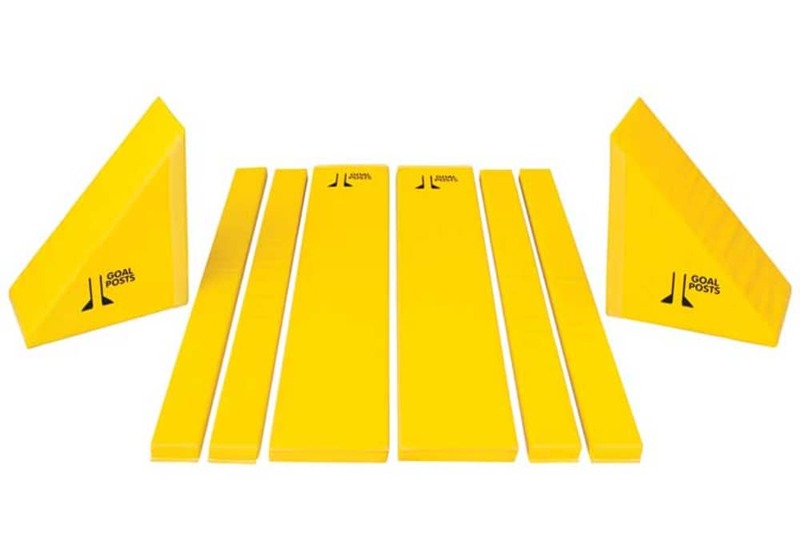 Innovative new gymnastics training equipment provides athletes with highly visible yet totally friendly guides to hone directional mobility and alignment skills. 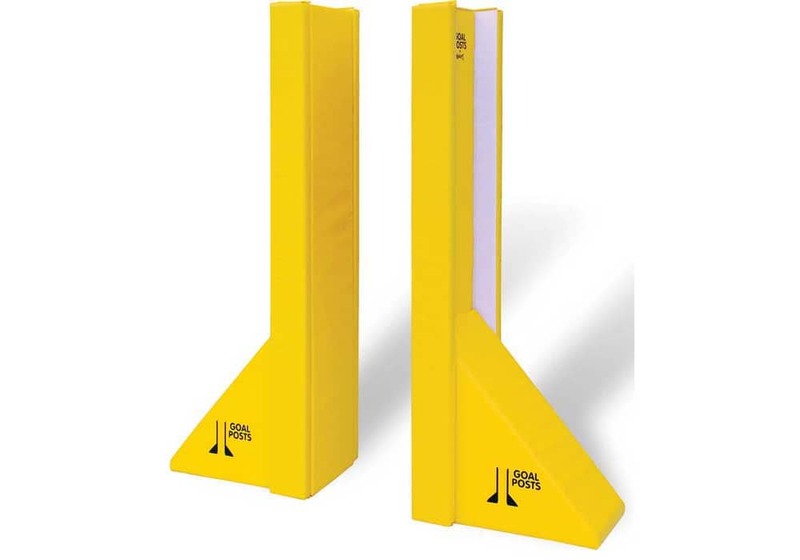 Great for coaching (and learning) drills of all types. This training system enables coaches and gymnasts to better communicate proper positioning and form. 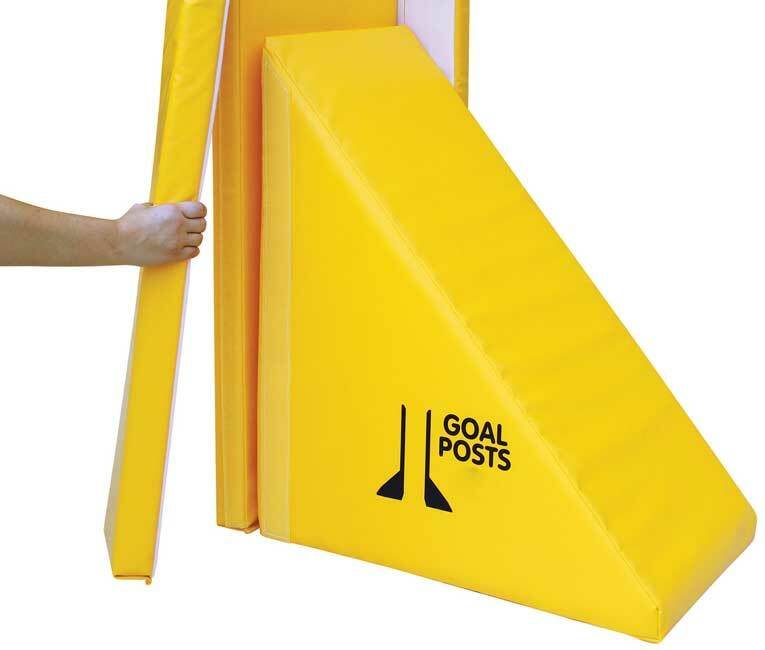 Bright, yellow, foam-filled, goal posts set consists of two upright pads (72 inches tall) and triangular support bases (30 inches wide). Innovative new gymnastics training equipment provides athletes with highly visible yet totally friendly guides to hone directional mobility and alignment skills. Great for coaching (and learning) drills of all types. This training system enables coaches and gymnasts to better communicate proper positioning and form. 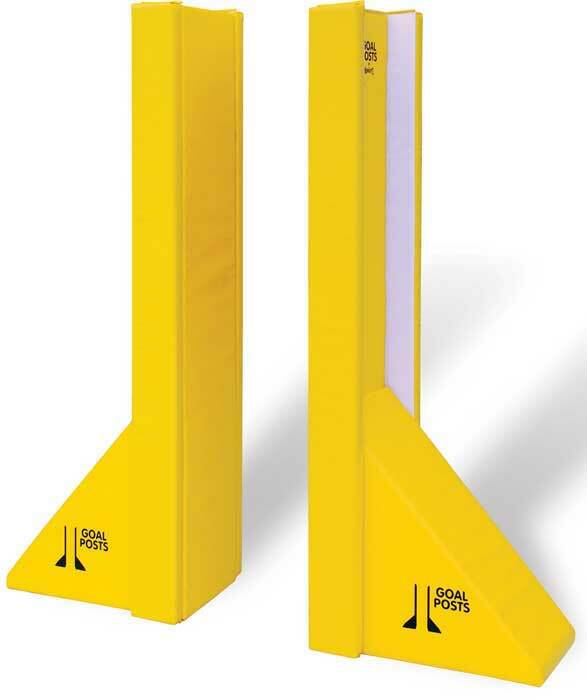 Bright, yellow, foam-filled, goal posts set consists of two upright pads (72 inches tall) and triangular support bases (30 inches wide). Hone directional mobility and alignment skills. Communicate proper positioning and form.